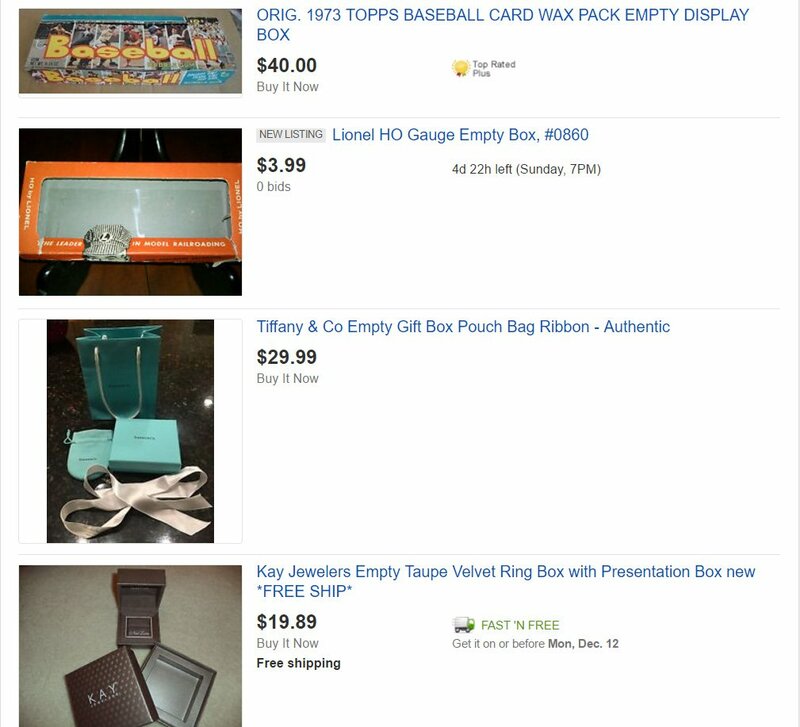 With the number of online marketplaces and apps out there today, none still comes close to the “anything sells” mentality that eBay brings. Sure there might be a few specific websites or apps that can sell certain things faster or fetch more money than eBay but overall eBay can be used to sell literally anything. 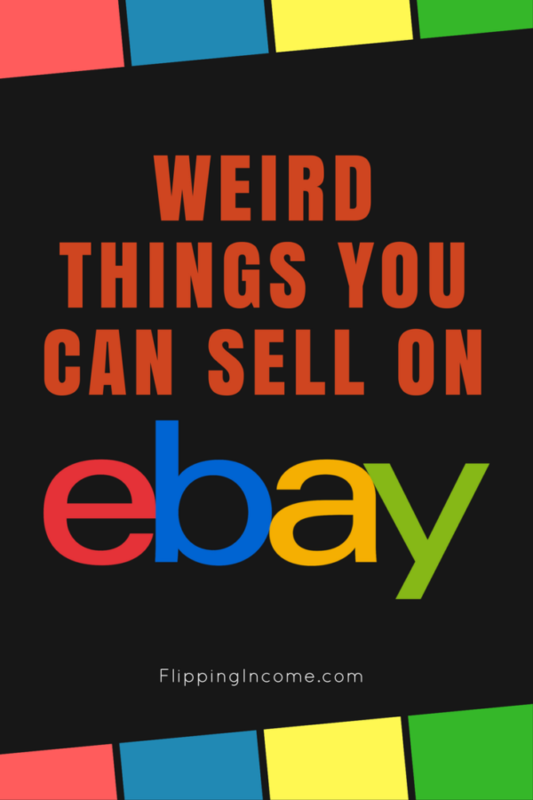 You probably know most of the common things people sell on eBay such as clothes, electronics, cars, video games, gift cards, antiques, and vintage anything…but probably not so familiar with the uncommon things people sell. Let’s take a look at the weird things you can sell on eBay. Yes, empty boxes sell on eBay. Pristine boxes for jewelry, toys, dolls, game systems, tablets, phones, can all go for anywhere between $10-50 dollars. Why would anyone buy empty boxes? There are a number of reasons. First, they are bought by people looking return their item back to the store since they already destroyed theirs. Second, people who are looking a display box either to be used as a real display or to be collected as a collectible item. Lastly, they are bought by people who want to flip something they found at a garage sale or thrift store and want to fetch top dollar by including a pristine box with their item(s). If you’re like me or the millions of other people with gadgets, you probably have a drawer or box full of misc random power cords. Old or unused power cords for iPods, iPads, micro and nano USB, video game systems, computers, proprietary camera cords, etc. will often sell for big bucks. 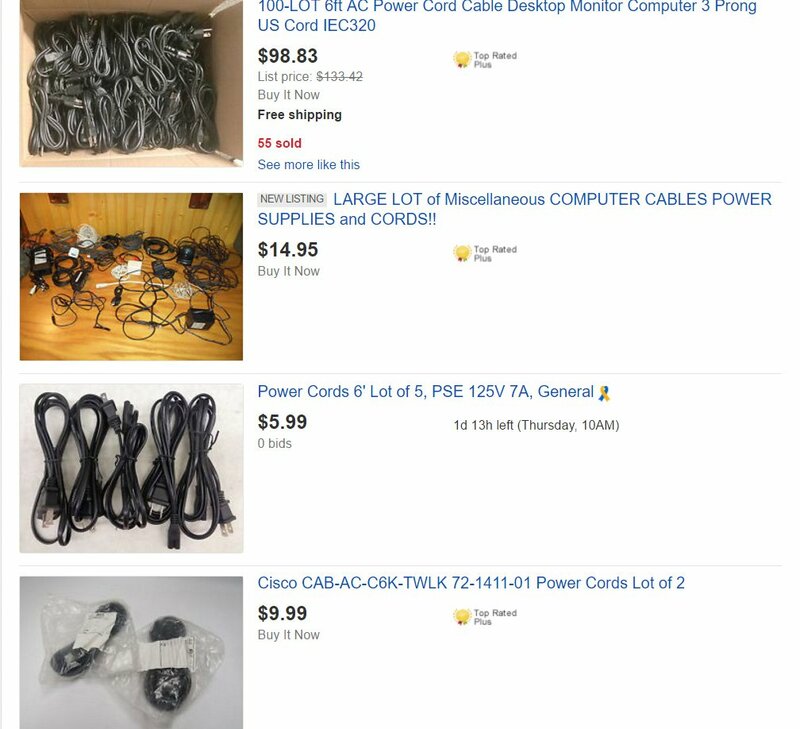 The hard part is knowing which cord is for what but if you have the time to track them down, it can be well worth it. 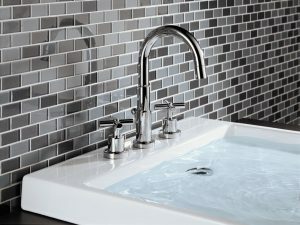 Almost every instruction manual today can be found online but many of the older manuals are hard to find. 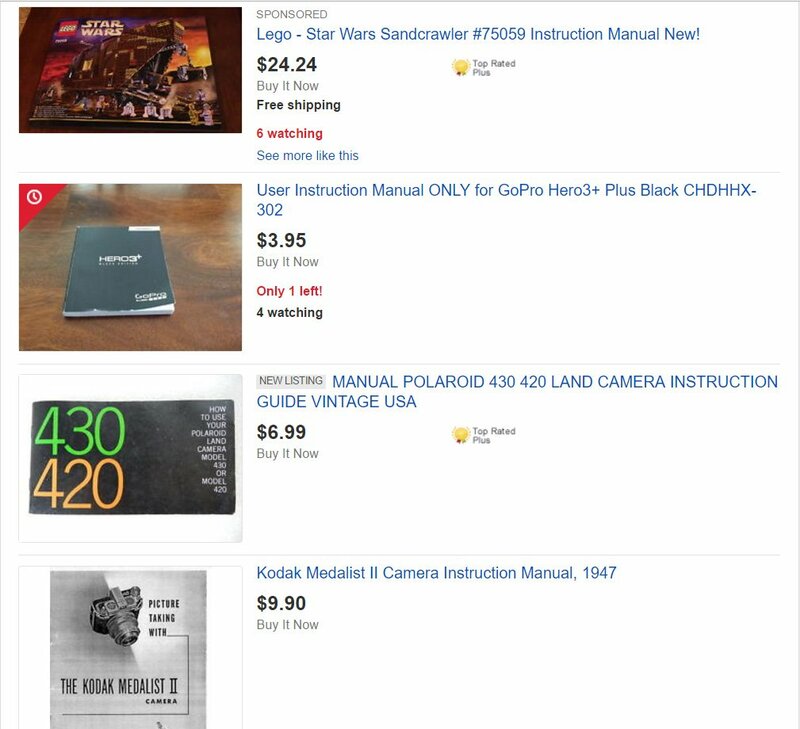 Many people looking for older manuals, especially ones that relate to gadgets they either own or are trying to sell. if you happen to have a lot of cameras, legos, printer, sound systems manuals laying around…list them rather than throw them out. Remember the old AOL days where they handed CDs out to anyone willing to take one? Even today they aren’t worth anything but some of the computers, printers, or copiers from that era are still being used today. Almost all of them are from an era where drivers were not listed online. That’s where physical CDs come in. Trust me when I tell you there are thousands of people running some priority software on a machine 30 years old that they cannot move off to a modern computer. Because of this, all the drivers for the monitor, keyboard/mice, printer are super crucial. 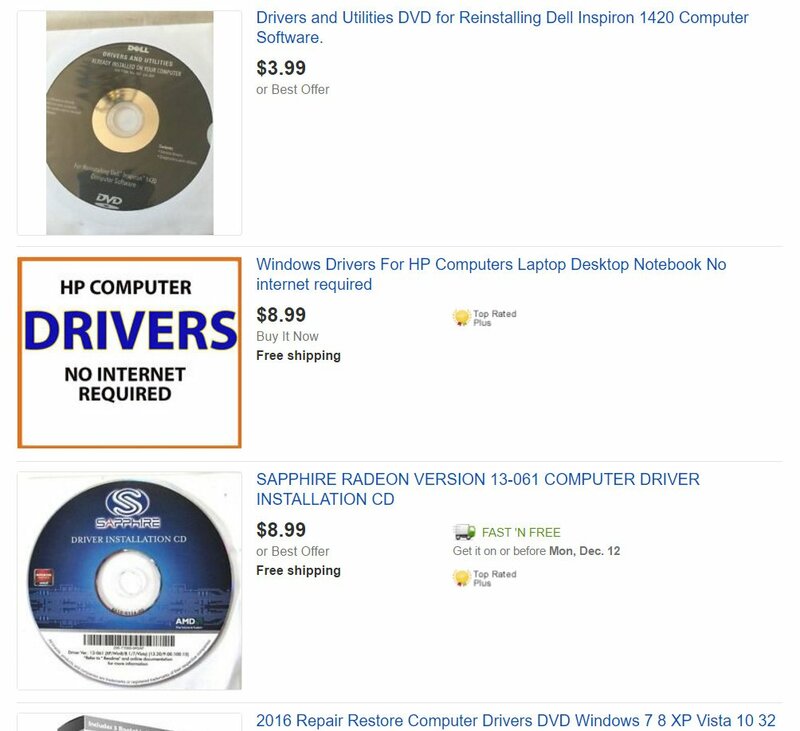 Just like physical driver CDs, old computer software can also fetch a lot of money on eBay. Many people have drawings, spreadsheets or documents created by software that cannot be opened with modern day software. The original software makers could have gone bankrupt a long time ago or simply upgraded their software 100 times by now and simply isn’t backward compatible. 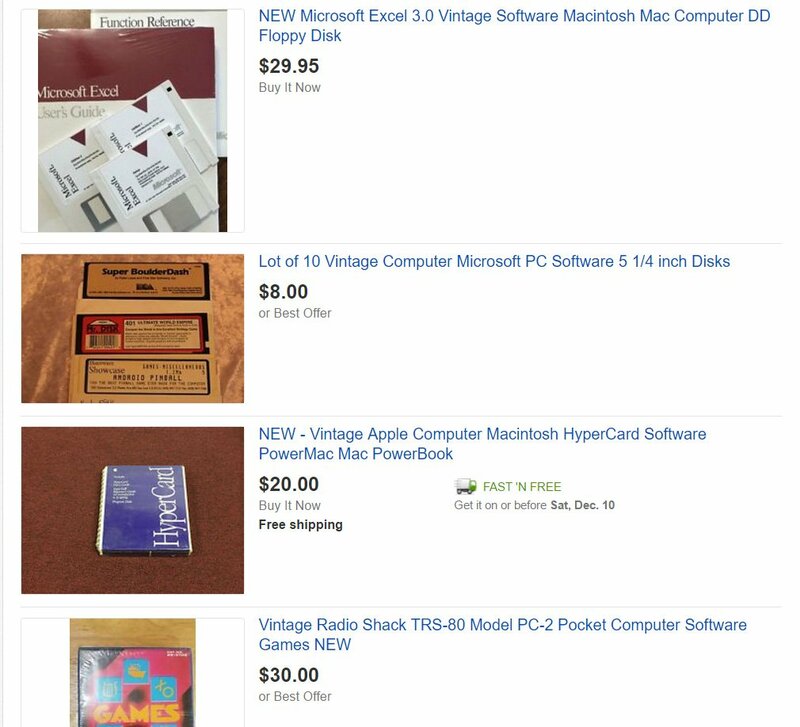 These users are paying top dollar for the original software cd and/or disks. The ones on floppies especially more so than CDs. 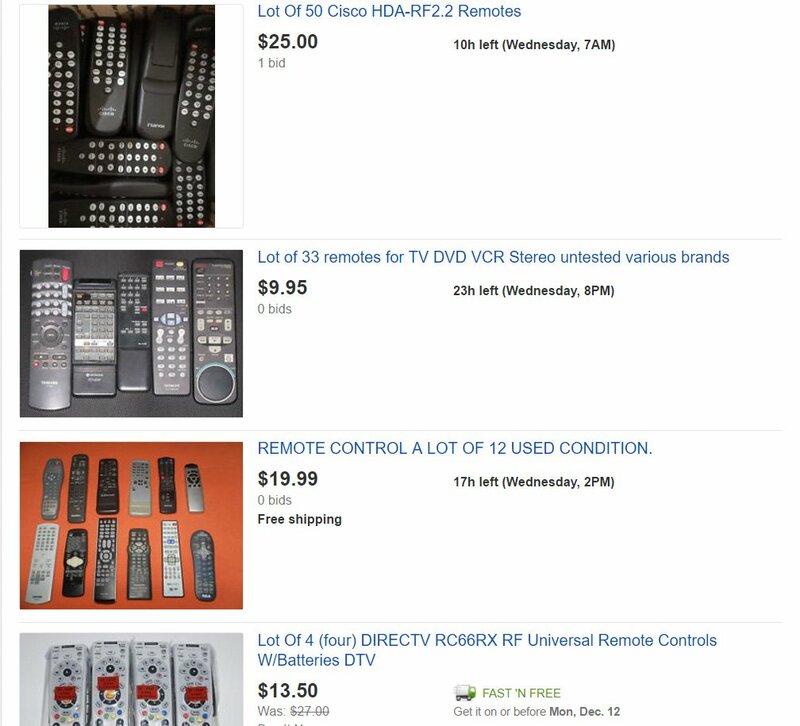 Random remotes that you no longer use can fetch a good amount on eBay. The reason being is a lot of people still get confused by universal remotes and would rather have the original remote to whatever TV, DVD, or audio device they may have. So if you have random remotes laying around that you know aren’t being used anymore, throw them on eBay. Any electronics worth a lot new or used means they are worth something when broken. This is because there are people out there that are looking to flip them or simply want a bargain. 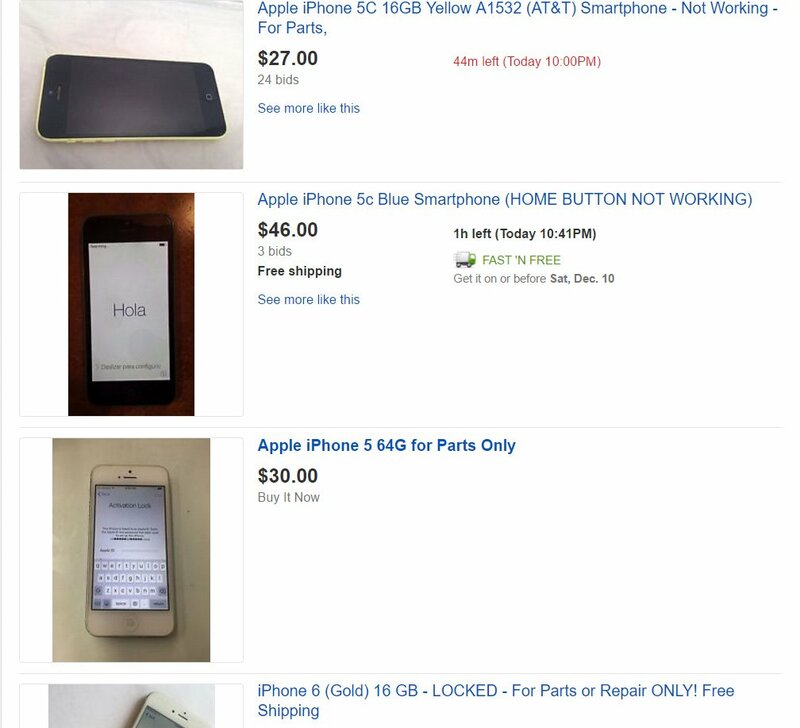 Broken tablets, smartphones, laptops, video game systems, blenders, and other items can be sold on eBay for quite a bit of money. Just make sure you put in your listing that you’re selling your item for parts only. BTW, if you’re interested in flipping phones, check out How To Make Money Flipping Phones. Ever think you can sell these weird things on eBay? Will this post make you rethink about throwing away all these things that can make you money? 🙂 Good luck! Old electric razor parts and cords.